The classic Call of Duty 4: Modern Warfare map Pipeline is making a next-gen return in Sledgehammer Games’ Call of Duty: Advanced Warfare, reimagined as Atlas Gorge, a central Chinese location based on the Three Gorges Dam. Though it was originally thought that the map would only be offered in Advanced Warfare’s Atlas Limited, Atlas Pro, and Digital Pro editions, the studio has now confirmed that will also be included as a part of Advanced Warfare’s Season Pass. 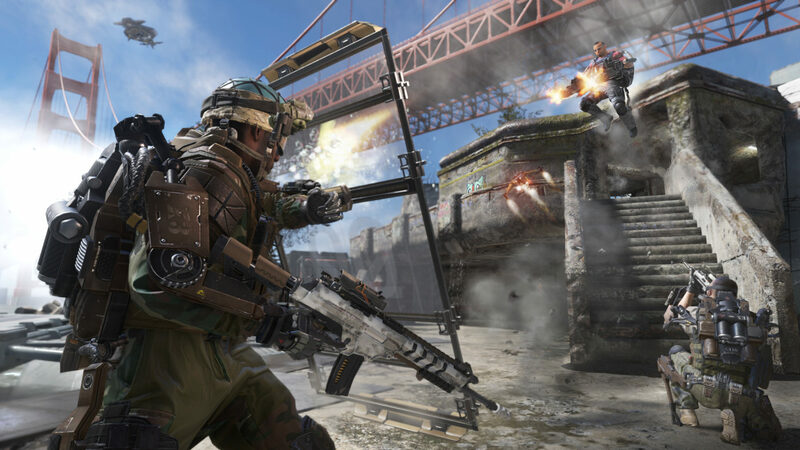 Sledgehammer Games co-founder Michael Condrey cleared that up on Twitter where he also confirmed that Advanced Warfare will ship with 14 multiplayer maps in total, including Atlas Gorge. Condrey also answered a few questions about Supply Drops, mentioning that gear acquire through this new feature will carry over into new Prestige ranks. So, if you decide to Prestige after reaching Advanced Warfare’s max rank of 50. you won’t lose anything you’ve earned through Supply Drops. That said, you will need to unlock your base weapons again before gaining access to certain weapon loot you already own. Special loot will also be rewarded to players based on their season performance in Advanced Warfare’s ranked multiplayer playlists. Condrey also confirmed that seasons will last one month long, like Call of Duty: Black Ops 2’s League Play. We recently got to see some of Advanced Warfare’s highest level unlocks which you can check out right here. Call of Duty: Advanced Warfare ships November 3 on Xbox One, PlayStation 4, Xbox 360, PlayStation 3, and PC.